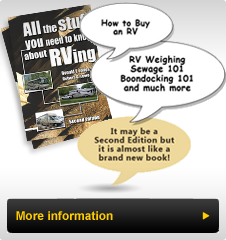 I have always been a do-it-yourself RV owner, preferring to carry out the routine maintenance of our RV myself. That approach has proved cost effective over the years and allowed me to understand the systems on my coach better than I would otherwise, if I had the coach regularly serviced at the dealer or chassis maker’s service center. This approach has become more difficult for me for a number of reasons. First, I have moved and our home does not have the space to allow the coach to be left for any length of time where I could service it. Finding a driveway to carry out routine services has been more difficult than I initially thought. Secondly the RV chassis systems have advanced considerably over the last few years and more of the critical components are monitored by onboard computer control that requires sophisticated (read expensive) equipment to interact with these computers to determine what set a fault code that turned on the service or check engine light. Of course a third reason is that it is more difficult physically to handle some of the chores such as removing a 22.5” wheel and tire that can weigh over 100lbs and require 100’s of foot pounds of torque to remove and install the lug nuts. My first RV had car sized 16.5” tires which were manageable and we had a spare tire with us. Some of the maintenance services require removal and disposal of gallons (or tens of litres) of fluids which creates a storage and transporting issue. Of course I have aged and physically some of the tasks are really beyond my ability now (how hard was that to admit?). Ultimately I have also learned that paying to have some of the services completed is easier and now that I can afford to have those services performed by a professional I have decided that is a wise alternative to the do-it yourself approach. The irony is that one of the "selling features” of my current coach is an all-in-one easily accessed service area where all of the routinely replaceable filters and service check points are located. I guess making it easier for my service shop technicians to carry out the services saves time and me some money. At least that is what I tell myself!! The point of this article is that there are times when we can carry out (and I would argue) should carry out our own service on our RV’s and there are times when a professional with the expertise and equipment to properly service the RV should be called upon. As an example, I had my coach into the Fleetwood Service Centre in Decatur, Indiana in the Fall. We had taken our coach there for a number of warranty repairs and were delighted with the quality of the work, the expertise of the technicians and the convenience of having service completed with easy access to repair components when replacement parts were required. I highly recommend that facility if you are travelling through this Indiana area. Within the past year this service center has begun carrying out chassis service as well. The opportunity to have both coach and chassis serviced at one time appealed and since we were going to leave our RV with the service center for some paint work, I decided to have them carry out the annual service in addition to some routine services that were required given the age of the coach. I noticed a "29 Point Chassis Service Inspection” on the Service Menu and decided to have that completed as well. I have learned from this experience that some things that a trained eye will notice, I would not. I have also learned over the years that if I am incapable of completing the service then it has to be done by a proper service facility. We returned about two weeks after leaving the coach for the work to be completed and noticed an item on the check list that did not seem to be completed but had been noticed by the service technician. He had noted that both rear axle seals were seeping axle lubricant onto the brake shoes. I have had the axle cover gasket leak on a previous coach and that type of leak is immediately obvious since the outer tire and wheel become streaked with oil immediately raising questions as to the cause. However the axle seal leakage is only visible when the tire and wheel and the brake drum are removed as well (unless the leakage is severe and the brake drum shows obvious oil on it). That type of extensive inspection would not likely be carried out by most "back yard” mechanics and the results of that leakage leads to a very unsafe "oil soaked” brake lining which if allowed to continue to leak would seriously compromise the coach braking ability and be very unsafe. Had I not asked for this "29 Point Inspection” I would never have been aware of the condition. The oversight in having the repair completed was corrected the morning that we were to leave and while we were somewhat inconvenienced by the delay we were very thankful that the inspection had been completed and that this potentially hazardous situation had been identified. An unexpected bonus was that the repair was covered under warranty. So the upshot of this article is while it may seem expensive to have these inspections completed and many times nothing is identified other than normal wear and tear, should some defect be lurking in the RV without those thorough inspections, many RVers would be unaware of the issues that may be compromising their safety, the safety of their passengers and that of innocent others. A professionally trained eye will notice something that an untrained eye will not. If the only coach you are inspecting is your own, you may not be aware of a weak or defective component because you are untrained whereas a technician that has inspected hundreds of coaches and seen trends is much more aware of what to look for and where potential hazards are located. Most RVers have a lot invested in their coach and lifestyle and depend upon their RV to safely negotiate the trips they have planned. Let’s not compromise safety of anyone by failing to have these routine inspections completed. These inspections are far from a money grab, be thankful if no defects are identified, and even more thankful when they are. Safety is not something to compromise on.